My last post is about Ngô Đình Diệm’s older brother Archbishop Thục, who got mixed up with several reactionary groups during the 1970s and 1980s before reconciling with the Vatican and living out his last year among a religious order of Vietnamese men in Missouri. Since then, I’ve read some more materials and learned about something I didn’t know before: a group of Catholic refugees led by a traditionalist and anti-Vatican II priest by the name of Trần Văn Khoát. Grading and other obligations kept me from watching this documentary when it was first shown on PBS last week. But I read the written narrative on the ProPublica website (which isn’t a transcript of the documentary but shares the same materials), and finally watched the documentary online last night. Here are some thoughts after watching it. On the second day of his visit to the U.S., Pope Francis stopped his motorcade and picked up a five-year-old Mexican American girl who tried to give him a letter and T-shirt. Seeing it in evening news reminded me of another pontiff that visited a refugee camp and picked up a little girl from the ground. It was John Paul II at the Phanat Nikhom Refugee Camp during his papal visit to Thailand in May 1984. At the time, Phanat Nikhom held thousands of refugees from Cambodia, Laos, and Vietnam. 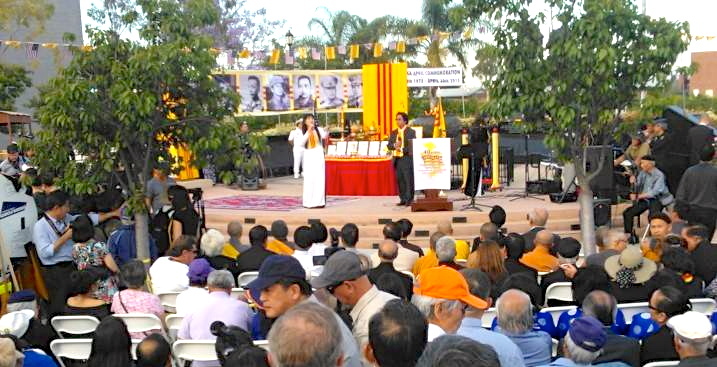 Among the Vietnamese were “boat people” as well as “land refugees,” that is, they left over land rather than sea. 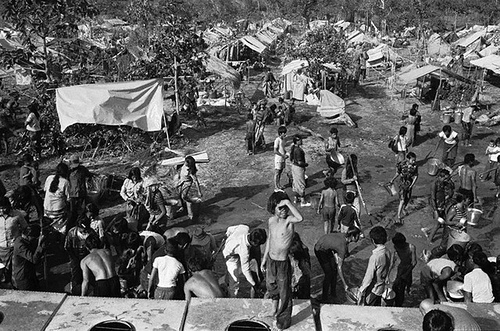 International and media focus on post-1975 Vietnamese refugees was typically on the “boat people.” But there were many that left by other means, including crossing through the land mass of southern Vietnam and Cambodia to reach the borders of Thailand.